Moisturizing is key to balancing oily skin...it brings the necessary moisture to your skin so it doesn't have to work overtime. Plus, it is especially important to find a moisturizer with SPF...even if it's not sunny out, those UV rays will penetrate your skin and cause major damge down the line. 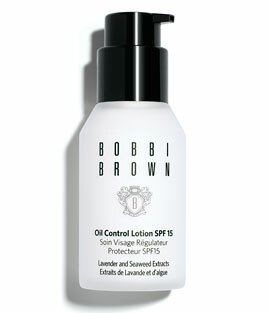 I like this moisturizer by Bobbi Brown because it helps with oil control, has the SPF and really sets up your skin nicely. Equally as important is primer. This primer by YSL is a miracle worker. It goes on like baby powder and literally keeps your makeup lasting all day long. Plus you can add it during the day and it keeps your complexion looking and feeling amazing. Again, as a girl with oily skin, I never thought that foundation would be the right choice for me. 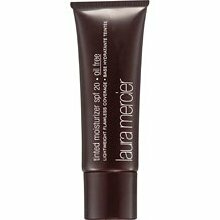 But I was really surprised with how much I love this tinted moisturizer by Laura Mercier. This is definitely a foundation, not a moisturizer (though it does have the SPF)...but the nice thing about it is that it goes on lightly and does not feel heavy like regular foundations. And of course...it's oil free! This is the holy grail of all shine control...there are many imitators out there, but I feel this is the Grand Poobah of them all. Clean & Clear got this one right. These babies absorb the oil and honestly won't smudge your makeup. I live by them and think that any woman who wants to freshen up quickly should have them in her purse. 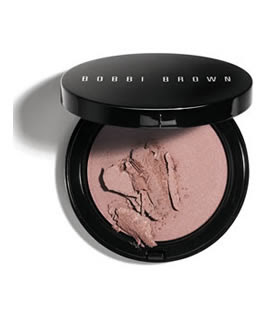 Bobbi Brown's Illuminating Bronzing Powder in Antigua is amazing! The online photo does not do the color justice IRL. It's very sheer, yet has the right level of glow and pink to make your cheeks look fabulous. I highly recommend checking this out! Any other great beauty products out there for girls that shine? I'd love to hear! i love the LM tinted moisterizer. my fave. This post was too good! There are a few products here that I really should check out, most specifically the primer. When you say you put the primer on in the day, do you put it on after using the oil absorbing sheets? 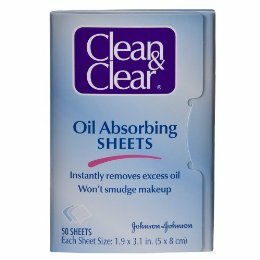 My co-worker really needs to use the oil absorbing sheets, she is constantly a reminder that I need to use them throughout the day! Aw, sad. Finally, thank you for posting about the bronzer. Honestly, and shamefully, I wear 2 - 3 layers of bronzer and blush to achieve the color I want. My only concern with this bronzer is that it would be too light since I'm used to caked layers apparently! But I think pink accents to cheeks is a fetching touch, so I will definitely hunt it down. Again, thank you very much for the suggestion! Also, I think the color of the photo looks great! Very alluring. Nice work! Hey DK! Yes, I actually do use the primer after the oil sheets...especially after work and I'm looking to freshen up before going out that night. And you only need a little bit, so it lasts a long time! Haha, maybe a nice gift idea for the co-worker? I really REALLY love this bronzer...I use it alone in the winter and it looks really nice and in the summer I'll use it with a regular bronzer for a little glow. Definitely check it out! I haven't tried the Bobbi Brown products you recommended, but I am pretty much a believer in anything BB puts her name on, so I'll have to try them out!